The bittersweet moment of the World Series coming around is with us once again. The arrival of the World Series means that the baseball season will soon be over, with seven games remaining at most. However, the games coming up promise to be some of the most exciting, nerve-jangling, passion-filled contests of the year. The San Francisco Giants and Texas Rangers have made their way through the MLB marathon and are within touching distance of the ultimate prize in the sport. One team will see their dreams fulfilled, the other will fall agonizingly short of their goal. It’s the pressure of being so near and yet so far from glory that makes the Fall Classic such a great spectacle. The 2010 World Series lineup reveals the difference between casual TV viewers and true baseball fans. While FOX were praying for a New York Yankees-Philadelphia Phillies series that had the big-name drawing power, the rest of us were happy to see two relatively unfancied teams making it to the Fall Classic. The Giants franchise is no stranger to success. Only the Yankees have made the World Series on a greater number of occasions and they’ve won the championship five times. However, those victories all came when the team was in New York. Since moving to San Francisco for the 1958 season, the Giants have only made it back to the Fall Classic three times. Their most recent appearance came in 2002 when they lost 4-3 to the Anaheim Angels. Their bay area rivals, the Oakland A’s, have won four World Championships since moving to California in 1968 (their most recent, in 1989, coming at the expense of the Giants) and Giants fans will tell you it’s about time that their team started to redress the balance. In contrast, the Texas Rangers are complete newcomers to the big stage. After eleven fruitless years as the Washington Senators, the organization moved to Texas for the 1972 season and didn’t make it to the playoffs until 1996. They were knocked out in the first round that year, as they were in 1998 and 1999 (swept 3-0 on both occasions), so their triumph over the Tampa Bay Rays in the ALDS this year was the first time they had won a postseason series. They then won a Championship Series at their first attempt. Maybe they’ll do the same in their first World Series? Game Three on Saturday starts at 6.57 Eastern Time (3.57 Pacific Time), which is the earliest start to a World Series game since 1987. Not only does that push the game back to being a pre-midnight first pitch for us, but the clocks also go back one hour in the early hours of Sunday, so we get a relatively early start and then have an extra hour in bed. Games Five, Six and Seven (if needed) also begin before midnight UK time because America doesn’t move out of their daylight saving time period until the following Sunday, reducing the time difference between the two counties. For the first time, the BBC will be providing live radio coverage of the entire World Series, with Jonny Gould and Josh Chetwynd bringing us all the action. The games will be broadcast on 5 Live Sports Extra, which is available via DAB radio, digital TV or online (if you live in the UK) at the BBC.co.uk website. 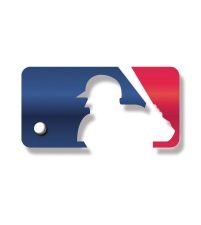 Be sure to sign up as a fan of the MLB on 5 Live Facebook page as well. ESPN America is your TV choice, while MLB.TV subscribers can either watch or listen to the games over the internet via MLB.com. If you can’t follow the games live, then don’t forget to check out the wealth of multimedia coverage provided on MLB.com. Whether it’s a neat four-minute recap video, a condensed version of the game or navigating your own way around the main moments, you can access all of the content for free. There’s a question I can’t answer. The beauty of the World Series is that you always end up with two good teams, both capable of beating the other on any given night. A best-of-seven game series is short enough to keep the momentum going throughout, while being long enough to offer plenty of scope for twists and turns along the way. Like most fans, my main hope heading into the series is simply that it goes six or seven games. If I have to make a prediction, then I’ll pick the Texas Rangers to win in six games. However, the series could easily go the Giants’ way instead. Whoever ends up celebrating, let’s hope it’s a great series. Judging by the way the rest of the 2010 MLB season has gone, there’s a very good chance we won’t be disappointed. I am so sad that the classic wont be seen on free tv, it will be the first time in ages I’ve not watched, normally I would tape the games overnight and watch them the next day but as I would only be able to watch them online I cant tape them, its a real shame that fans of US sports are let down again by British broadcastings apathetic response , regretably it seems to be becoming the norm and as someone who cant afford £3000 a month for satellite tv I guess I will miss out. They were shown on ESPN America (£10/month I think), and broadcast on Radio 5 Live Extra. I fell asleep waiting for Game 5. I woke up at 3am and it was all over! I’m so pleased that the Giants won though – a vindication of years of frustration. Bit like England and the World Cup, except even longer. it’s fantastic. There should be an article on this site about it.